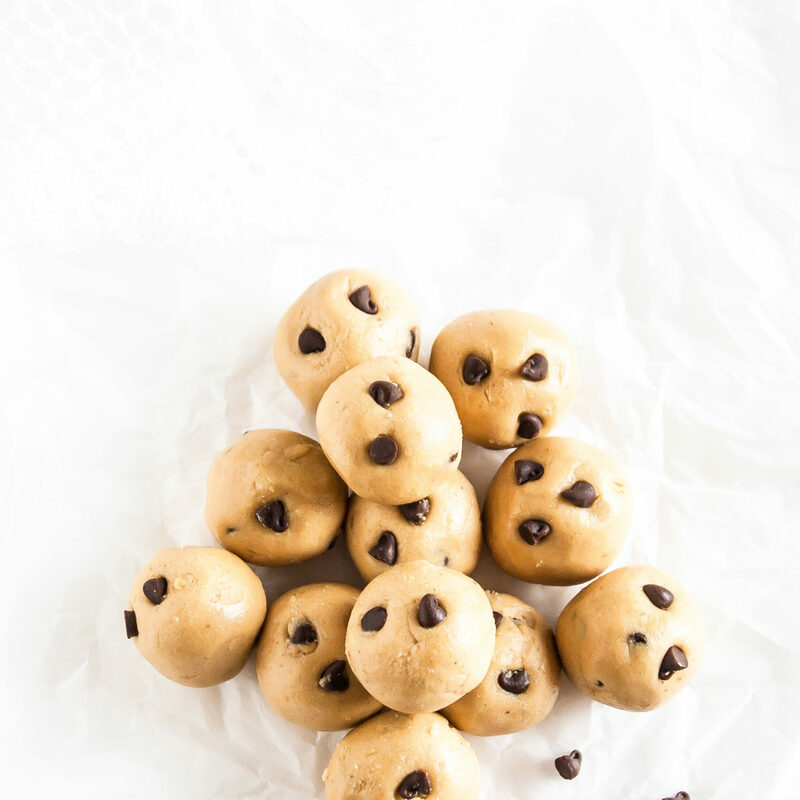 Cookie Dough Energy Balls. 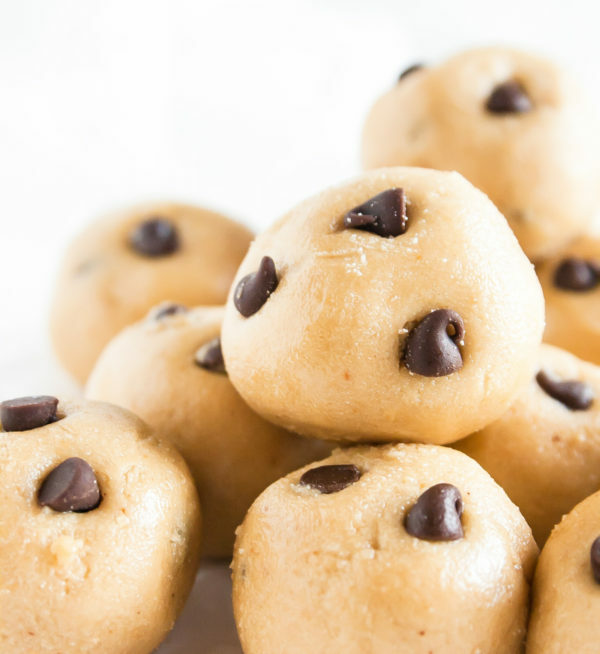 Vegan and gluten free energy balls that taste like cookie dough from the bowl! I used to be a BIG Cookie Monster and relished the opportunity to shove chocolate chip cookies down whenever I could. Cookie Crisp cereal for breakfast, cookie cakes for birthdays, and cookies for snacks whenever I could. Even as little girl I loved to bake my own fresh chocolate chip cookies, but I didn’t anxiously await for them to be done baking. Instead, I couldn’t wait to lick the dough off the spoon! For some reason that raw dough was 1000x better to me than the actual baked cookies. And though my Cookie Monster days are long behind me, I still occasionally get a craving for cookies like I used to. 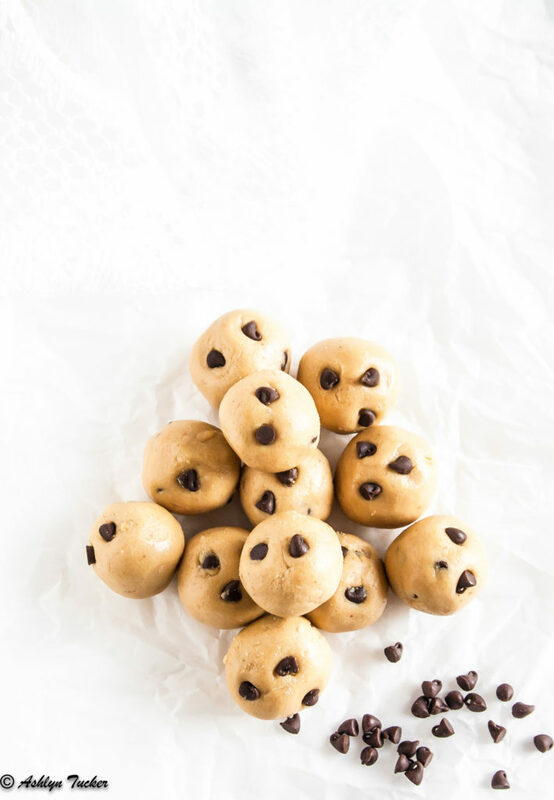 So nowadays I whip up a batch of these cookie dough energy balls to satisfy that appetite in a healthy way! These protein treats are super easy to make with just four ingredients and one bowl. 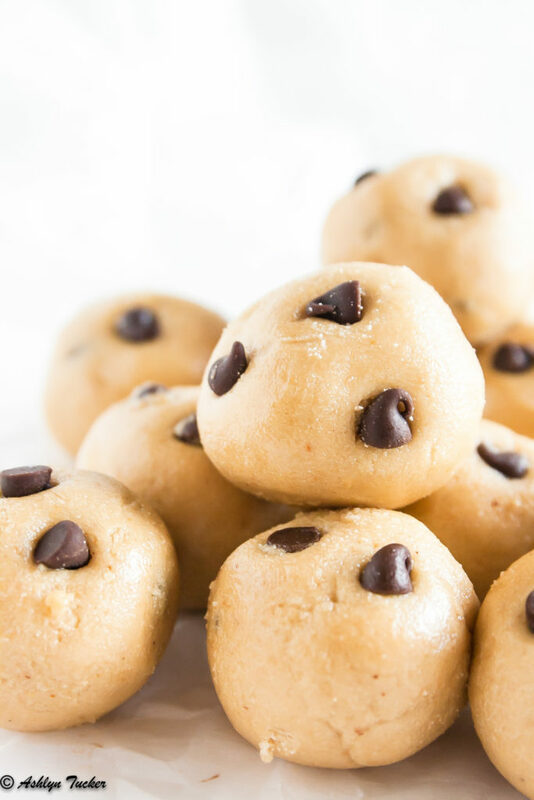 Lot’s of energy ball recipes out there use peanut butter, but I use cashew butter in this because it gives more of that rich cookie dough flavor! If you can’t find cashew butter make your own recipe here! 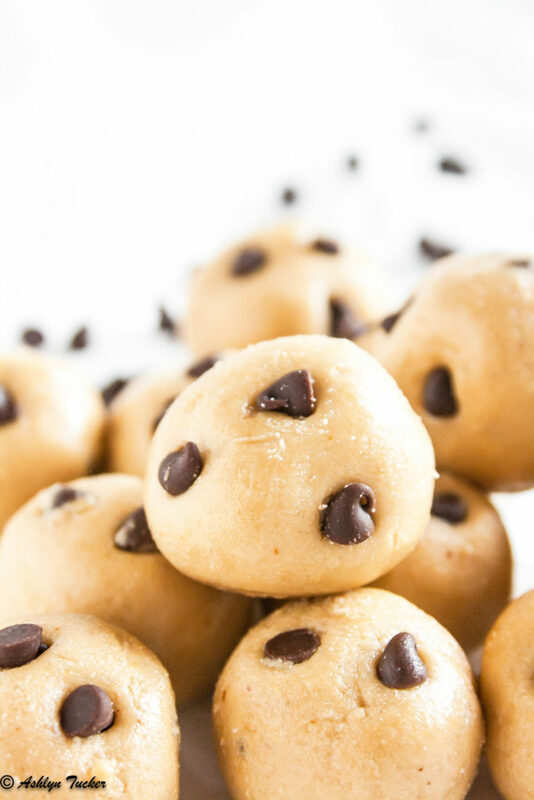 If you’re allergic to cashews you could sub something else in such as sunflower butter or peanut butter, they’ll be a little less cookie doughish but still ah-mazing! 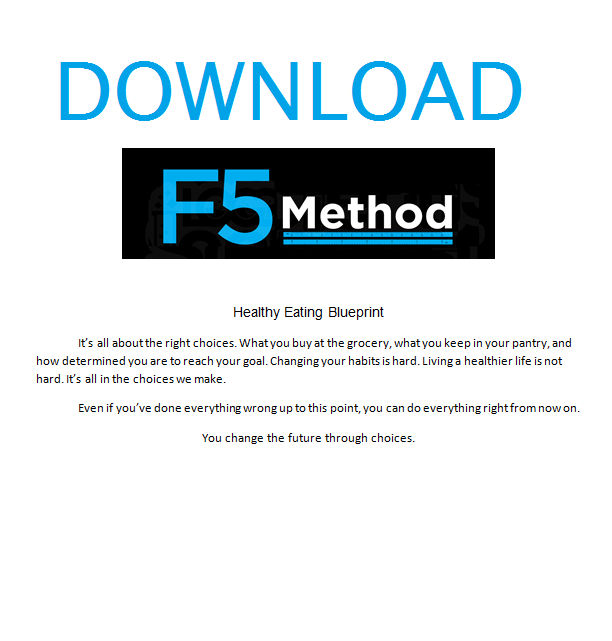 So fellow health conscious cookie monsters – have no fear! 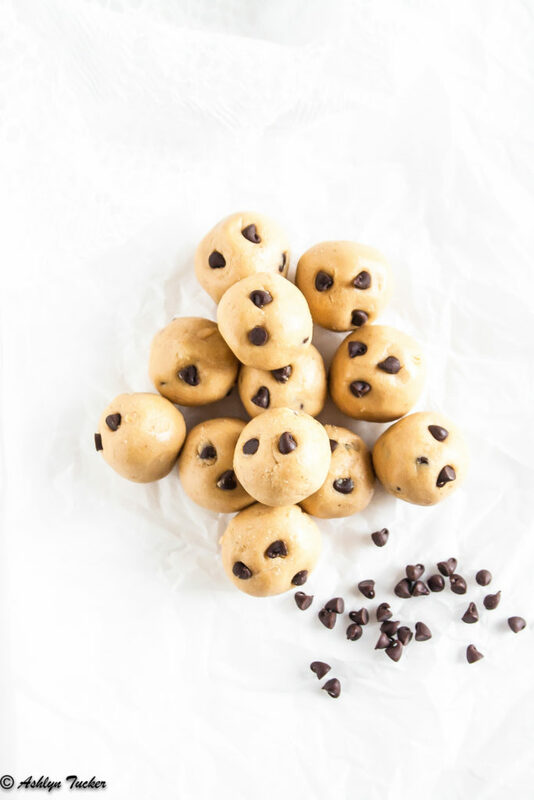 These cookie dough energy balls are here to satisfy our cravings! 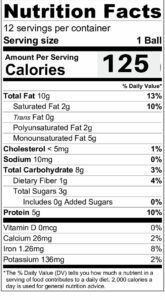 In a large bowl, combine all ingredients until evenly mixed. Using a cookie scoop or just your hands, scoop out small portions of the dough and roll into balls.